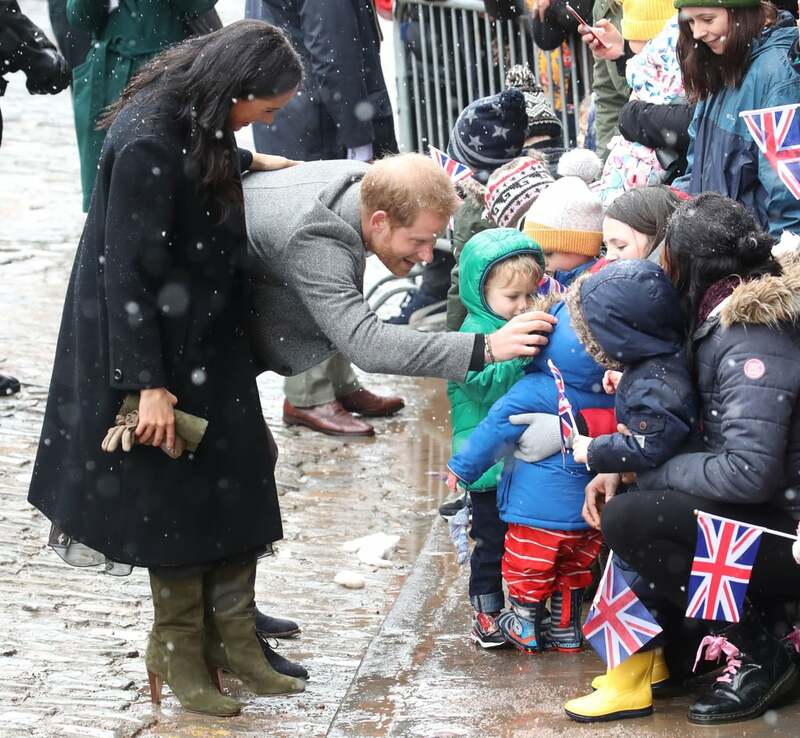 Prince Harry and Meghan Markle visited Bristol, England, to meet members of the public and learn more about the charitable work taking place there. 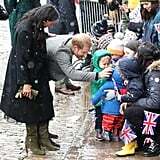 Arriving in the morning for a walkabout, the couple braved snowy conditions to greet the people who'd waited out in the cold for their royal moment, including some adorable preschool kids. 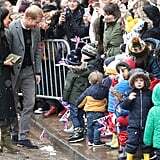 The Duchess of Sussex, who has had a busy week of royal engagements that saw her step out in a chic Givenchy coat and a fresh-from-the-runway pink ensemble, finally caved to the cold weather for this latest outing, swapping the bare legs and pumps she favored earlier in the week for thick tights and boots. 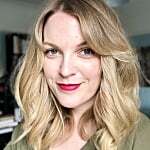 She teamed them with an outfit by William Vintage and Oscar de la Renta, a designer both she and her sister-in-law have turned to for royal engagements recently. 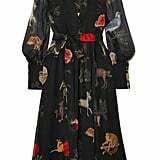 Meghan's look consisted of a black William Vintage coat over a printed chiffon dress, teamed with suede accessories: knee-high boots and a Ralph Lauren clutch bag in khaki, with a pair of beige gloves. 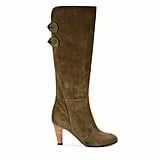 Her boots were by Sarah Flint, a designer Meghan has worn numerous times before, and you can still snap up a pair for yourself. 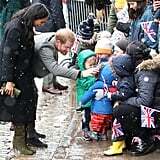 Keep reading for a closer look and to shop key pieces from Meghan's snowy outfit.